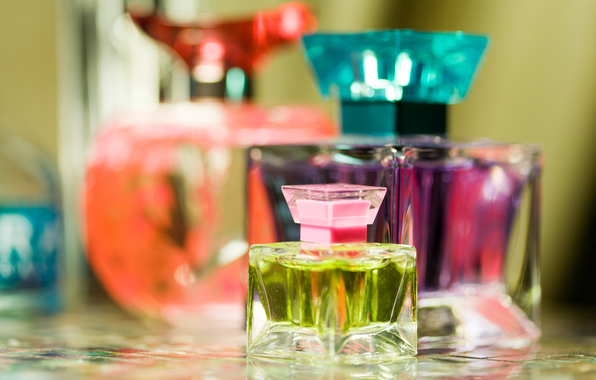 The numbers are in for the perfume industry’s sales in 2013 as a whole. I’m always interested in the financial side of the fragrance industry, especially how perfume is doing as compared to the overall beauty market. However, the most fascinating thing this time were changes that occurred in people’s perfume tastes, in the categories of perfumes that were purchased in the last year, and in who was doing the buying. I’m not hugely surprised by what men are doing in the U.S. and U.K., but I was a bit taken aback by a change in the American woman’s buying habits and tastes. I’ll cover all of that in this post, along with: the U.S. sales figures for market leaders like Estée Lauder, Elizabeth Arden, Coty, and Inter Parfums, along with what those figures tell us about the overall fragrance industry in America. Another post, Part II, will look at the broader picture by focusing on the global perfume market. The topics include: the most popular perfumes for women and men in different European countries; the role of Valentine’s Day in the UK; the 3 perfume houses that dominate the French market; a perfume Fatwa by a Grand Mufti in the Middle East (no, I’m not joking, but it was a positive edict); the industry’s astonishing projected growth; the degree of profits for L’Oreal, LVMH, IFF, and Givaudan; and the different international perfume markets in the UK, France, Italy, Germany, The Netherlands, Spain, India, and the Middle East. As always, I would like to emphasize that I am the furthest thing imaginable from a business expert. I often can’t make heads or tails of the specific fine point and details in financial reports. In fact, I intentionally went to law school to stay as far away as humanly possible from anything mathematical or financial in nature. Still, I hope you find some of the reports below interesting. Please note, however, that all of the articles focus on the more established and significantly larger commercial fragrance market, not the niche one. sales of prestige beauty products — those sold in department stores — gained 5% in 2013. But the lower-end brands sold in drugstores struggled, gaining just 1%. Among the prestige labels, NPD reports that skincare and makeup was especially strong — both up 7% in dollar sales from the prior year — while fancy fragrances were flat. Direct-to-consumer sales grew 19%. But the more expensive products were, the better they sold. Fragrances priced $100 and higher jumped 30% in sales, and makeup priced at $60 and up climbed 28%. In short, prestige makes a difference to sales. I have to wonder how much of that was driven by niche perfumery or, to be more precise, the impact of niche perfumery on more mainstream brands (like Chanel, for example) raising their prices. What used to be a go-to Christmas gift is no longer smelling quite as sweet. After gaining back some of the ground lost after four years of negative sales during the economic downturn, fragrance sales are basically flat on the year, and experts predict they will continue their holding pattern during the holidays. 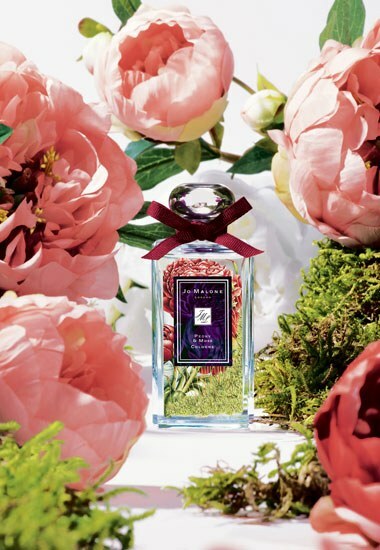 Jo Malone fragrance via joyce.fr. Most of the growth in the prestige fragrance category—sales logged primarily in department stores—has come from pricier, niche fragrances such as Demeter Fragrance Library’s Oud, and scents from Jo Malone and Tom Ford, [Virgina Lee of Euromonitor] said. She pointed to Bond No. 9, Estée Lauder’s Modern Muse and Coty’s Marc Jacobs Honey as other fragrances she expects to perform well. While celebrity perfumes continue to saturate the market—including scents from Rihanna, One Direction and Taylor Swift—the category’s real value growth is now being driven by an older, more sophisticated shopper who doesn’t care to smell like a pop star, Lee said. She also predicts prestige will continue to outperform mass offerings, as higher-income shoppers have the money to burn on a $250 fragrance, she said. So, what happened when Christmas ended, the sales were tallied up, and the reports were released? Well, as noted above, NPD says that 2013 perfume sales were flat for “prestige” (ie, department store) fragrances, while drug store ones sank by 6%. Coty didn’t do enormously well in 2013, either. 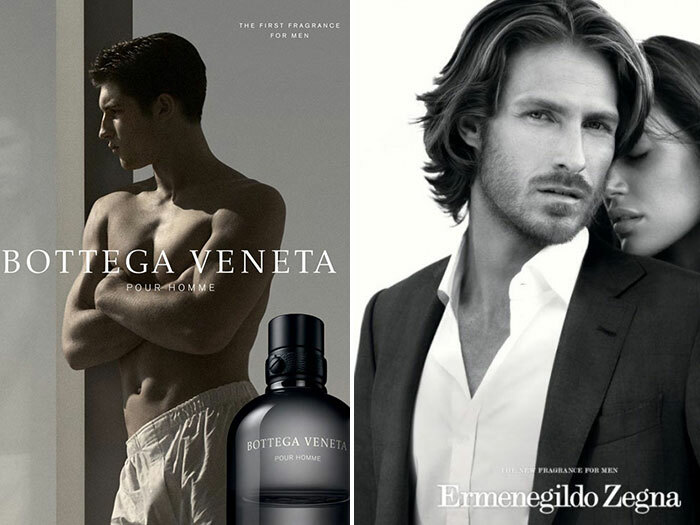 The company’s fragrances generally seem to average out to the mid-level range in terms of department store offerings, as its brands include: Bottega Veneta, Calvin Klein, Chopard, Cerrutti, Marc Jacobs, Chloé, Roberto Cavalli, Sarah Jessica Parker, Beyoncé, Lady Gaga, Madonna, Vivienne Westwood, Vera Wang, and Davidoff. 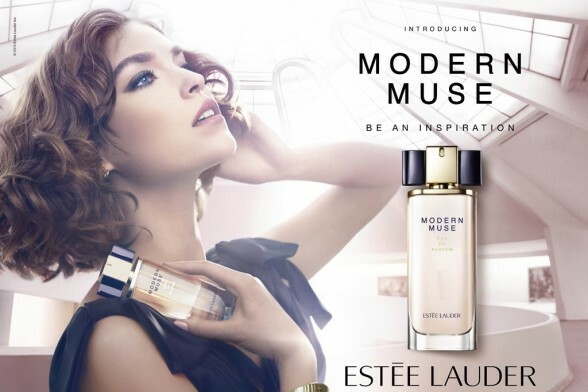 Coty said its fiscal second-quarter earnings for 2013 dropped 33%, though much of that was from weak cosmetics sales. 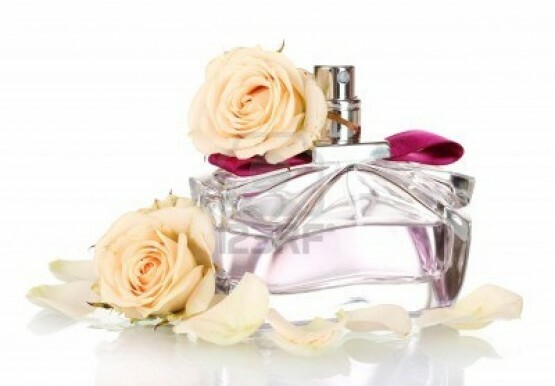 The fragrance sector reported a 2% loss in revenue, but the company’s revenue as a whole sank 4.1% to $1.32 billion. However, despite its declining share, the fragrance division witnesses a strong growth rate in Q2, supported by holiday season spending on luxury fragrance products. Another company with slightly more “prestige” fragrances also did well. Inter Parfums reported a 19% increase in fourth-quarter sales, according to a report in the Wall Street Journal. You may not know Inter Parfum’s name, but you certainly know the perfume brands it distributes: Lanvin, Van Cleef & Arpels, Balmain, Agent Provocateur, Boucheron, Jimmy Choo, Karl Lagerfeld, Montblanc, Paul Smith, S.T. Dupont, Repetto, Alfred Dunhill, Anna Sui, Shanghai Tang, Oscar de la Renta, Gap, Brooks Brothers, bebe, and Betsey Johnson. Value is important to consumers, but premium-priced offerings are thriving is US prestige beauty. Even though sales for the total prestige fragrance category were flat, fragrances priced $100 and over grew 30 percent in dollars, while face makeup priced at $60 and up increased 28 percent, and skincare for the face gained 15 percent in dollar sales (compared to 2012). While total industry dollar sales declined slightly to $2 billion in the 12 months ending December 2013, sales of woody oriental scents, the second largest fragrance family, and smaller segments grew during the same time period. The standalone oriental, woods, citrus, and fruity fragrances are still a small portion of the market, at just 7 percent of women’s fragrance dollar sales, but they are growing at the expense of the larger segments, including the top selling fragrance family, floral. Woody oriental is the only one of the larger blended fragrance families to experience growth in 2013. Two of the top 5 women’s prestige fragrances sold in the US are part of the woody oriental fragrance family, while the other three in the top five are florals and a soft floral. In my admittedly biased opinion, I am going to credit niche perfumery as having some role in why less traditional categories of perfumery may be gaining ground with the average American women. Just as with fashion being influenced by trends that slowly trickle down from Haute Couture, so too must the more inventive fragrances put out by niche houses eventually trend the commercial perfume giants. You can see it with oud which started as a revolutionary failure with YSL’s M7 (under Tom Ford), but which has now trickled down into every conceivable type of perfume at every price point. men’s fragrance juice sales drove positive dollar performance for the overall fragrance category in the US and UK[.] Total fragrance performance was soft elsewhere in Europe, with declines across men’s and women’s offerings, primarily in the EDT segment. “While women’s individual juices continue to be the top selling fragrance segment across the US and Europe, new launch activity has been a boost for men’s sales across most countries,” said Karen Grant, vice president and senior global industry analyst, The NPD Group, Inc. In addition to men’s juice sales, the other positive growth segments for both the US and UK prestige* fragrance industries in the 12 months ending October 2013 were women’s juices, and both men’s and women’s fragrance gift sets. With the exception of Spain, which had declines across fragrance segments, there were segments of flat to positive performance in other European countries. Men’s gift sets were the star in France during this time period. In Italy, men’s juice and women’s gift sets held steady. Although there seems to be movement in specific areas, I think if you look at the picture as a whole, you will see that the perfume industry in the U.S. continues to struggles. Sales are generally soft, not dynamic and huge. The percentages reported are always very small, moving upwards by about 2% in a lot of cases, or else dropping by 6% to 7%. If you take a bird’s-eye view, make-up and skin care do gangbusters in the U.S., but not fragrances. Even the expensive ($100+) perfumes are only selling moderately if you look at picture as a whole, as opposed to taking a narrow view of “prestige” fragrances vs. drugstore ones. And remember, the definition of “prestige” here revolves around department store perfumes, not niche. Given the nature of a niche or artisanal company, and the fact that it is privately owned with no need to report to shareholders, I think it would be virtually impossible to find data on how that sector of the industry is doing. The individual companies are certainly not going to report it. I also can’t see niche distributors like Luckyscent, Osswald, First in Fragrance, or Essenza Nobile releasing sales figures by perfume house. Still, I think it’s always interesting to know how the industry as a whole is doing. To that end, Part II will focus on the global picture, from market titans like LVMH and Givaudan, to popular perfumes and sales in individual countries such as the U.K., France, Germany, The Netherlands, Italy, Spain, India, and the Middle East. This entry was posted in Fragrances, Perfume Trends, News, or Sales and tagged 2013 Fragrance sales, 2013 Perfume Industry, Fragrance industry figures, Fragrance market, fragrance market share, Fragrance revenues, most popular women's fragrances, perfume sales figures, perfume tastes, U.S. perfume market, U.S. Perfume sales, What perfumes are selling by Kafkaesque. Bookmark the permalink. Fantastic gathering of information here Kafka, as always. Carry on the ‘sterling’ work! Thanks for the wonderful insights …. great job! Thanks for giving us the inside picture. Hopefully, people’s interest and use of perfume will stay alive and well despite the IFF recent suggestions..
Ha! I detest both as well, Devon. 😀 In fact, I’d never think of Flowerbomb as a “woody oriental.” I mentally categorize it as “diabetes in a bottle.” 😀 So, like you, I was rather startled by what they chose to classify as a “woody oriental” in terms of the new shifting tastes, but, like you, I think it’s a step in the right direction. It’s like, “Okay, at least women are THINKING that they’re trying a new genre of perfume, and liking something that is not a ‘clean, fresh’ scent. So, it’s a start!” Anything — ANY bloody THING — to get people moving away from the “Clean” scents with their calone, aquatics, soapy laundry notes, and that ghastly white musk. Great article Kafka. The researcher in me loves it when you do the business side and the history bits and pieces as well – of course the perfume reviews are great too. I concur with the ‘diabetes in a bottle’ above and had a giggle. A NZ friend came over for the summer and sprayed Flowerbomb incessantly much to my dismay. We had a trip to Paris and I tried with much energy to get her to try a range of different perfumes to sway her from her signature scent. But alas to no avail and one of the only other perfumes she liked was Ma Vie est Belle which falls into exactly the same genre for me. I believe this is a huge seller in France. Heh at the “Ma Vie est Belle” choice as her alternative. Oh God. I laughed quite a bit at that, for reasons that should become plain when you read Part II on the Global Industry, including which fragrances are popular in which European countries. Flowerbomb- well, I think the “bomb” is certainly accurate… Absolutely revolting, sickeningly-sweet. The Lancôme Belle is so similar to me that it triggers a gag reflex! A true nose hair singe-er!!! Very interesting to see our beloved world of fragrance from another view. Looking forward to part 2! I agree on the “bomb” aspect to Flowerbomb, but the general perfumista seems to love it! I think you’re very right that once you’ve tried niche fragrances, it is extremely difficult to see commercial or designer scents in the same way. Niche is really worlds apart, a whole other dimension when it’s done well, though naturally, there are always a few clunkers and stinkers that louse things up. lol. Completely fascinating. Thanks for the information. I’m surprised that there is any growth at all with the economy being as it is. I’m not surprised that the drug store sales have had the most modest grown considering their market purchasers. Funny about the change in female perfumes (increase in woody fragrances) I wonder if this is becoming more prominent as fragrance is becoming more unisex and as such, we’ll see less traditional and more modern “for all” fragrances. CK One sounds so revolutionary years ago. Now, does anyone care??! I think niche must have had a small “trickle down” effect onto the more commercial mainstream scents, and is definitely having a small impact in terms of tastes skewing a little less traditional. In the U.S., at least. As you’ll see in Part II, internationally, “unisex” is often the tiniest and smallest category in terms of market share by genre, whereas the traditional “female” scents can take up to 60% of the sales. What’s interesting is that — no matter how minuscule the portion of unisex fragrances sold in some countries — it is the area with the most projected growth for the future. Thank you for the research and links. I learnt many things including that Bruce Weber shot the Bottega Veneta woman’s campaign. Interesting that Beautiful from the 80’s is still happening. I bought that for a girlfriend at Uni the minute it came out. Awaiting Part 2, especially the non-US and non-UK market information. Fantastic Post! I’m a bit of a fragrance lover so very interested in all the little facts and tidbits. Looking forward to the future posts. Like you I find the figures on men’ s growing purchasing power in the UK and US very interesting. But I’m even more taken aback by how unlike the European market the US is. First of all we have a question of scale. Looking at that table for 12/13 it seems to indicate US sales for $3bn as opposed to around $2.6bn for France, $2bn UK, $1bn for Italy. It doesn’t take a genius to work out that the size of the European market is, as you rightly point out elsewhere, hugely bigger than the US. Secondly the disproportionate influence of Elizabeth Arden! If they really are taking out 15% of that $3bn, it leaves the market about the size of France for the rest of the players to fight it out! As ever there is a slight note of caution with stats, especially in a sector cloaked so heavily in secrecy, but these are very revealing if even partially true. I’m so glad you found it interesting and revealing my dear. And yes, Elizabeth Arden’s influence does seem to be huge. Alas, I suspect Britney Spears has a lot to do with that. If only I were joking, but the girl actually sells more perfume than a good number of proper perfume houses put together! Just as illuminating and intriguing as part 1. Putting aside some of the rather excitable growth predictions of people whose raison d’etre it is to talk up growth, there some definite trends in here, but, in The Dandy’s humble opinion, whilst mountains may be moving the process might not be as rapid as we imagine. Western Europe and North America appear to be flat markets, the surprising thing for me is that the Eurozone hasn’t declined much more sharply in the recent past. However. I don’t think that it’s necessarily the case that Europe as a whole is scent saturated as of yet. There continue to be significant North / South and West / East disparities in wealth and consumption across the continent and a long way to go yet before people living in Baltic, Eastern and Balkan states enjoy a standard of living comparable to France or Germany. These aren’t the huge markets represented by India, China and South America, but in the case of an economic turn around they are culturally and geographically easy wins for the future, and we are talking about hundreds of millions of people when Western-facing Turkey is included in the equation. I’m with you 100% China will be a very tough nut to crack for scent. Japan has ‘enjoyed’ Western culture and affluence for decades but hasn’t succumbed to the charms of perfume, why necessarily will the equally as ‘stink’ averse Chinese fall in love with fragrance? Likewise the complex network of cultures and states across south east Asia many with different religions and traditions that might bar the march of aromas. The middle East, or specifically the Gulf will be very important to a segment of the market: haute or high prestige. In fact it already sustains much of the output in this segment either domestically or by the big houses. I am much less convinced that it will be a major driver for volume prestige for two reasons. The first you point out: there is no great taste for even the Harvey Nicks of this world in Dubai! by extension mid to designer market perfumes are not de riguer The second is that we are still talking about relatively small population numbers, the gulf states (excluding Iraq, still riven by conflict and Iran and Saudi Arabia, both still subject to religious restrictions on Western perfume) are not populous nations and culturally resistant to many of the traditional marketing tricks of the big perfumeurs and retailers. I would be very surprised if this is an area of focus for massive growth for the big houses outside of their no doubt mind-bogglingly lucrative exclusive ranges, as the numbers just aren’t there. Latin America. Yes, I’ve no doubt it will happen. But not as quickly as people suspect. Those heralding the emergence of Brazil as an economic superpower would be as well to look back on predictions for Argentina, Mexico, Chile and others over the last century. Demographics dictate that there will be ultimately be a much bigger market here, but it’s far from a forgone conclusion as the descent of Mexico into near chaos despite its membership of NAFTA proves. India. India is a mystery. A law unto itself. It has more computer science graduates than Scandinavia has people yet try and find a railway ticketing office with a working PC! In all seriousness, a country that is only now taking tentative steps to opening up food retailing to international interests is one where all bets are off. So, The Dandy’s view: Europe isn’t quite dead yet, the Middle East now owns ‘haute perfumerie’ but doesn;t have the people to drive the mainstream, the Far East will prove elusive, Latin America will take a long time to conquer and India is a mystery. If I was a betting man Russia and the countries that once formed part of its sprawling empire are where the money;s to be made. I actually think there is a chance that the number predictions of $46 Billion may be on the conservative side. From what I’ve gathered from the research groups in question, they generally seem to be quite conservative and focused on the pure figures. It’s not like some financial Wall Street hedge-fund or merchant bank with an incentive to drum up excitement. Euromonitor and the like would lose their credibility if they went after hype or tried to drum things up for the benefit of bankers. Plus, if they don’t give conservative estimates, they would fall flat on their face when the actual numbers came in below. It was something I was thinking about this morning. I would bet the $46 billion estimate is on the conservative side just to be safe. Re. the Middle East, you’re quite right that it will depend on the specific region, but I think ALLLLLLLLLLLLL regions have a culture that fully integrates perfume into their daily lives. It happens across the board, regardless of socio-economic status or demographics. Report after report makes that part clear, as does my own time spent in the Middle East. That said, you’re absolutely right that they will not necessarily be purchasing Western products, except at the very top tier of the socio-economic pyramid. And all the reasons why, all the factors that you give, are extremely astute. The local population generally will be purchasing their own local manufacturers, whether it is the Arabian Oud, Adjmal, or the rest, and they will eschew Guerlain’s super-expensive Middle Eastern exclusives unless they are the very wealthiest segment of society. I wanted to talk about Russia but: 1) this was already ridiculously long as it is; and 2) the language is a barrier. All Euromonitor reports are very cursory in the free synopsis that they let you see, so the more useful, readable, detailed data (like the lists of popular perfumes, or what women/men think about perfumery, etc.) would come from newspaper reports and the like. I don’t trust Google Translate for something like that. It would be far too easy for it to screw up the nuances or real meaning of what is going on, and I wouldn’t feel comfortable in relying on something I couldn’t determine for myself. I took Russian eons and eons ago in university, but only briefly, and not in a way that left any knowledge whatsoever after all this time. LOL. So, putting that together with the fact that this piece was already so long that I thought I would totally lose readers, I thought it best to leave Russia for another occasion. I agree, Russia, and those diverse countries along its flanks are probably as impenetrable in the literature as they can sometimes be in real life and certainly worthy of separate investigation. Another intriguing point about Euromonitor and their like: as so little of what they produce is in the public domain I wonder how much proper peer review and look back on the integrity of their work actually goes on…. Last quick point, for I know my comments have been excessively lengthy, but there’s also an issue here about transparency in the industry… I can’t think of another sector where, as a result of complex shareholding, cross ownership, massive personal and family interests, there is less pressure on companies to produce accurate sales, turnover, profit figures and enunciate clear marketing and business strategies.